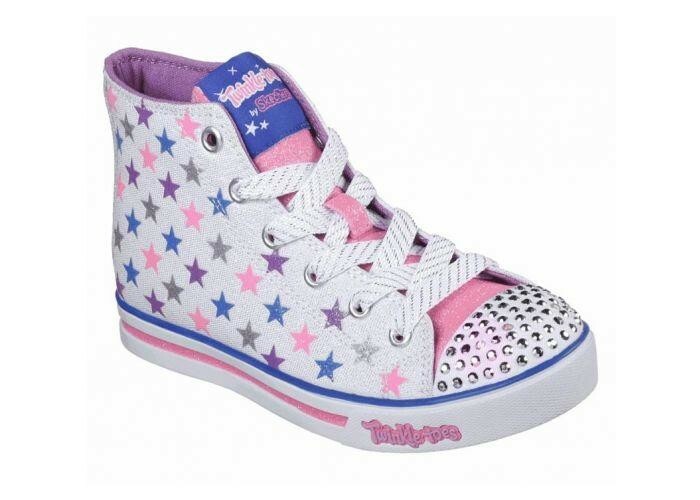 Wishing on a great style and comfort with the SKECHERS Twinkle Toes: Sparkle Glitz - Shiny Starz shoe. Wishing on a great style and comfort with the SKECHERS Twinkle Toes: Sparkle Glitz - Shiny Starz shoe. 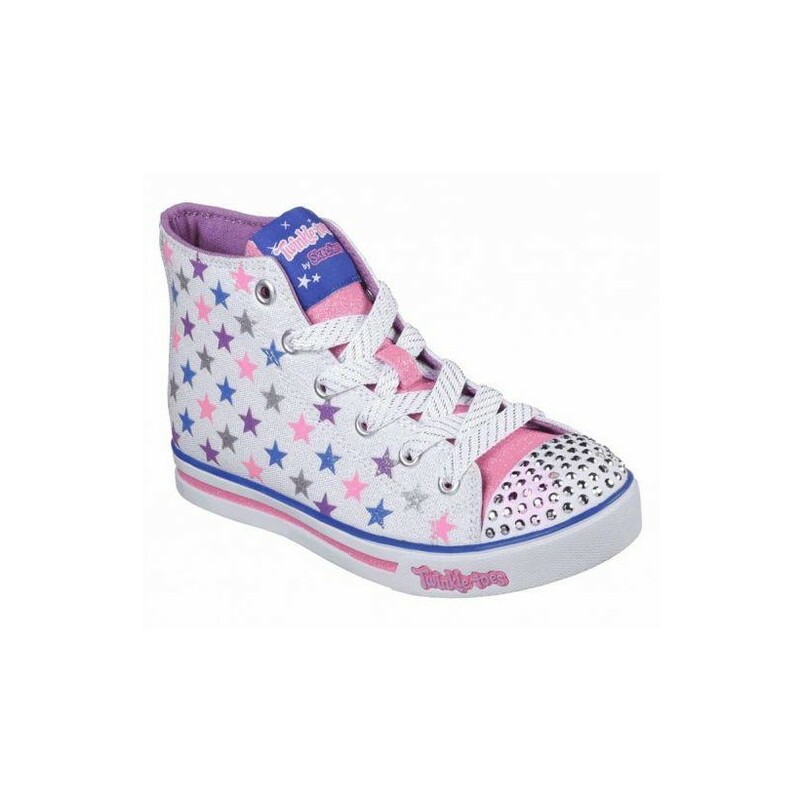 Soft canvas and glitter finish fabric upper in a lace up casual high top light up sneaker with sparkle finish stars and stitching details.